Two weeks ago, the Armymen disappointed 53,000 spectators in a frozen Luzhniki. The side gave a poor performance in the second half of the match against Viktoria Plzen (1-2) and lost any chance to continue their Champions League campaign. Furthermore, CSKA’s chances to secure a place in the Europa League have gotten smaller. Since then, the Red-Blues lost 2 points in an away match in Rostov-on-Don (0-0) and were unconvincing in a victory against Enisey Krasnoyarsk (2-1). Now, to continue their European campaign, the Army Men should need to take more points against Real Madrid than Plzen will take against AS Roma at home. This season, CSKA manager Viktor Goncharenko usually plays a defensive formation 5-2-1-2. As a result the Red-Blues have the best defence in the RPL, conceding only 8 goals in 17 matches. However the side’s defensive quality is not good enough for the Champions League. If Becao misses the match due to injury, Goncharenko could choose a 4-2-2-2 or 4-3-1-2 formation. He has only 3 center-backs (Nababkin, Magnusson and Chernov), but Chernov has barely played in the last few weeks. Such defensive style decreases attacking potential, especially considering that CSKA lost two of their most creative players: Dzagoev and Akhmetov. In Goncharenko’s system, two defensive midfielders play an important role. One of them is more defensive and the other should control the team’s pace and move the ball forward. Akhmetov was excellent in this role, Goncharenko needs to find a replacement for him. Wing-backs also have important roles. In the attacking phase, they play as wingers. Mario Fernandes applies pressure on the opponents goals from the right flank and Schennikov will use space, entering the box from opposite flank. In the previous match against Plzen he won the penalty and had two scoring chances to decide the match in the first half. On Saturday, he scored against Enisey in this manner. The attacking line is presented by the triangle: Vlasic plays wide as central attacking midfielder and supports the forwards. Chalov usually plays as a striker and Sigurdsson as a supporting forward. CSKA has had difficulties with set-pieces. The Red-Blues have scored only one goal from a set piece this season and often concede from them. This is one drawback of a young, inexperienced and sleight side. Plzen scored both of their goals from set pieces. Against Real, the Army Men will concentrate on defence to avoid losing, hoping that the Romans will beat Viktoria away. Another big loss for CSKA is Akhmetov’s shoulder injury. Goncharenko said that his play especially in defence was big surprise for the manager. Last week Ilzat, was named the best U21 player in the RPL in 2018. A CSKA player won this award for the third time in a row. Golovin took the award in 2016 and Chalov in 2017. In spite of rumours the side is going to cancel their contract with Abel Hernandez, he returned to Moscow after recovering in England. He even played 15 minutes on Saturday. Dzagoev continues train individually. Viktor Vasin and Aleksandr Makarov are recovering after ACL-injuries. CSKA received a boost after Konstantin Kuchaev’s return. He already has some playing time, but after an ACL-injury, he needs more time to get in shape. Igor Akinfeev – the 32-year old goalkeeper has now spent 15 years as CSKA’s No.1. In the match against FC Rostov he kept his 300th clean sheet of his career. This season, CSKA’s defense has 10 clean sheets in 17 matches in the RPL. Now, Igor has to stop Real’s attacking line for a second time. Nikola Vlasic – The 21-year-old Croat continues to impress. CSKA fans voted him as player of the month for November as well as September and October. Nikola is the main weapon for CSKA in the attacking zone. Though, in the last matches he looks tired after matches for CSKA and the Croatian national team. The Croat was disappointed in Rostov when he missed a penalty, before then skying the rebound over an empty net. However, he recovered well to score the winner vs Enisey. 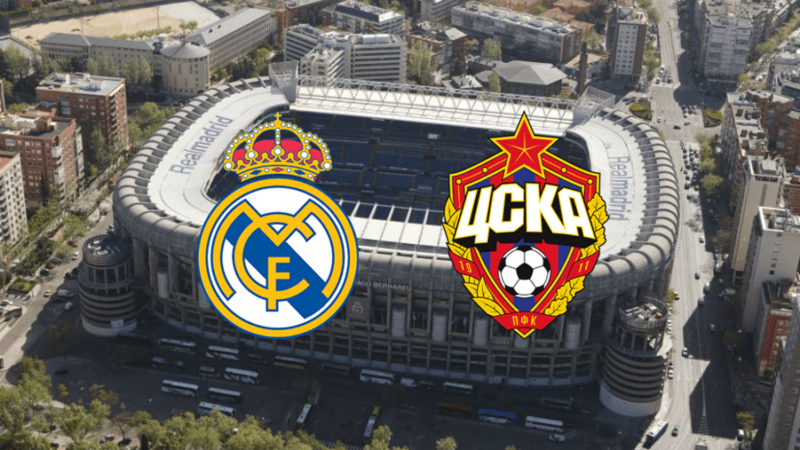 Undoubtedly Real will want to take revenge for the defeat in first matchday (0-1) and to be honest, CSKA has only a small chance to grab points. I don’t see anyway that CSKA can stop Madrid without Becao. Football fan. Former reporter and chief-editor of the Inform Agency PESKI.RU (www.peski.ru). I like travel and visit stadiums and attend matches in Europe. CSKA Moscow fan.